Red Dwarf is a TV show on British national television from Dave with an average rating of 3.3 stars by TelevisionCatchUp.co.uk's visitors. 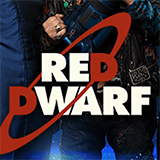 We have 121 episodes of Red Dwarf in our archive. The first episode of Red Dwarf was broadcast in March, 2019. Did you miss an episode of Red Dwarf but don't you wan't that to happen in the future? Please set an alarm and add Red Dwarf to your favourites, so we can remind you by email when there's a new episode available to watch. For free! The hapless Red Dwarf crew stumble upon a deserted space ship, but call off a salvage operation when a gargantuan sea monster appears from the murky ocean. More trouble in store for the comical crew when they each meet their dark sides - four demonic doppelgangers eager to destroy their angelic counterparts. Sci-fi made funny. The crew investigate an abandoned genetic research centre and come across a holovirus that could spell trouble for the crew, not least Rimmer. Hilarious space-set sitcom. Trouble's in store when Starbug arrives on a Psi-moon and the planet rebuilds itself to imitate the wretched Rimmer's warped little mind. The crew are in trouble when they run into the Inquisitor, a creature that roams through the universe dealing with life's wastrels. Naturally, they are next on his list. The space comedy with a legion of fans. Crafty Rimmer attempts to 'earn' a commission to join the crew of the advanced holoship Enlightenment, the vessel of his dreams.